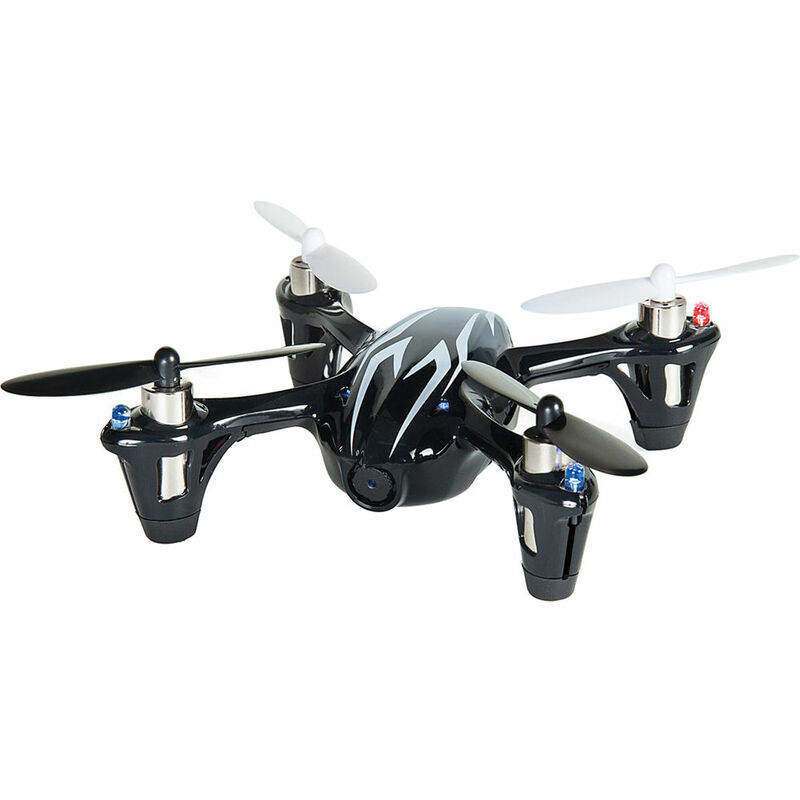 The X4 H107C-HD Quadcopter with 720p Video Camera in black and white from Hubsan is a quad-rotor, palm-sized RC helicopter that features a 2.4 GHz, 4-Channel transmitter and a built-in 720p resolution HD camera. The most notable feature of this quadcopter is its size, even with a prop-to-prop wingspan of just 5.75" it sill has room for a camera. To record video there is a microSD memory card slot below the "tail" section that is activated using a button just to the side of the card slot. It will accommodated microSD/microSDHC/microSDXC cards up to 64GB. Finally, a 3.7V, 380 mAh lithium-polymer battery tucks away inside the body providing up to 7 minutes flying time. The transmitter (TX) supports both Mode 1 and Mode 2 stick configurations. Mode 2 is typically preferred in the U.S. as many argue it more closely simulates actual aircraft controls, however some international users may be more accustomed to Mode 1. Box Dimensions (LxWxH) 14.3 x 7.2 x 3.7"
X4 H107C-HD Quadcopter with 720p Video Camera (Black/White) is rated 4.1 out of 5 by 131. Rated 4 out of 5 by Anonymous from The little drone that could Need a well lit environment for video. The wires in the back could have been better thought out. I'm not sure how long it will be until they are ruined from not being secured (with all the pulling and movement they take). Other than that, my dad and I found these drones extremely fun and usable--both indoors and outdoors. I would suggest buying the extra blades, as they do get banged up quickly. 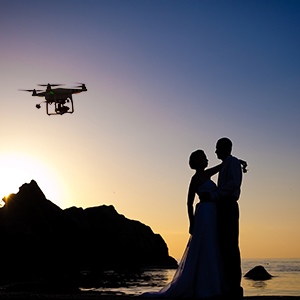 I would also suggest buying an extra battery, as they only hold between 6-15 minutes of power for the drone. I only have one and wish I had purchased a second one. Overall, I definitely recommend as a first drone. Rated 3 out of 5 by Bobgeo from Powerful little toy! I bought this because I'm a videographer and this has an HD camera. I haven't purchased the optional mem card but I've been flying it indoors. I'm trying to learn how to control this thing but I'm a slow learner. The instructions say to fly with an experienced pilot. The only thing I don't like is the battery life is very short 5-7 minutes then you have to recharge using USB. The manual doesn't give many tips on how to fly it, it just explains what all the buttons are for. YouTube does have some good videos that will be helpful. I would eventually like to upgrade to a quad that has a longer battery life. For now this is a fun, inexpensive toy to practice on. This is a very small unit so check out the dimensions before you buy or you may be disappointed. Rated 5 out of 5 by Anonymous from Fun for this beginner I bought my dad one of these for Christmas and decided to purchase one for myself too. I am so thankful I listened to those who told me to start out small. This is the perfect size to start out with and it is a fun little guy! I did note that the directions are not as simple as one might want for someone starting off; however, after a bit of toying around, one is able to get it going. The camera in mine is dreadful. Perhaps it was just the cloudy day, but I was rather disappointed in its quality. Here's another however--it was only $50. There is a ton of junky drones out there for the same price--or more. Rated 2 out of 5 by The Old Railfan from Inexpensive but not up to the task. Perhaps I expected too much, but any drone that doesn't stay in good enough trim to be able to stay in one spot aka hover, is a waste of time, never mind how low the price. It's possible that mine is a dud, but from reading the different R/C fora I have a suspicion that quite a few other users are in the precise same boat. What finally made me say no more was the second burned-out motor. Yes, I have spares on hand and replacing the motor is no big deal, but two motors within two days? To shorten the story a bit, the X4 may or may not get repaired, the replacement from a different manufacturer is on the way. On the Hubsan X4 .... be prepared for surprises. Rated 5 out of 5 by Bobandmil from fun flying Bought this unit to learn to fly these units and although it is a little touchy.....its still fun to fly and a great learning tool.....would highly recommend that you buy the following accs for it: extra blades, blade protection ring, extra battery, extra charger....the unit is small, but it really does fly well... It does take some time to get the 'feel' for the remote units joy sticks, but when you get it down....your in and especially for someone like me who only uses a TV remote.!!!! Rated 4 out of 5 by Cal Video from Great for Training This thing is about the size of your hand, so it's not as stable as a heavy UAV with a larger circumfrence would be, but that also helps develop a light touch in training. It has plenty of power for its size, is fairly responsive and is easy to use. It's a great little drone for beginner flyers, such as myself, to learn the controls and how to fly, especially the tricky techniques needed when flying it towards the operator and the controls are reversed. For having a pinhole camera, the images are not bad, but far from true professional standards. The props have tendency to fly off, so I reccommend getting the crash pack. You'll need it, plus it has an extra battery. Rated 4 out of 5 by Andy Ingle from Nice flying toy This is very entertaining small size quadcopter. Buy a crash guard same time you buy the copter(Buying crash pack is smarter option btw). Flying it is like learning to drive a car first time though, so dont get disappointed, give yourself some time to learn to fly it, for me it took a week. Please buy 4-5 extra batteries, so that you can enjoy elongated flying time. Havent tried its camera yet, as to film something you should learn to fly it first, you dont wanna watch video buping the quadcopter everywhere anyways. Can i replace the battery with a bigger one? If you plan to add more weight by going to a bigger battery, you might as well go to a multirotor with more thrust. Changing the weight and balance of any aircraft will change performance. How much weight can it support while in flight? I have never thought of adding weight to the X4.Sorry can't help but suggest this would be a worthwhile buy toexperiment yourself. Good Luck! Could this support a Go Pro camera? what is the maximum size of micro sd for this quadcopter? The largest card supported is 16gb. Is this the 2mp HD camera or the 0.3mp cam. the specs say A-28 camera which is the .3mp cam but the in the box list shows 2MP. which is it? Yes, it is 2MP HD camera. How do you find out if the control transmitter is a Mode 1 or Mode 2? After my transmitter binds with the copter the two front lights start blinking &amp; the controls do nothing. What is the issue!!? If you are experiencing a technical issue please contact our Aerial Imaging department at AERIALIMAGING@BHPHOTOVIDEO.COM. 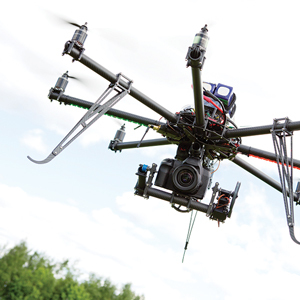 up to what distance will remote effectively control flight? Hobbyist flights (see FAA.gov for details) are to be conducted within Line of Sight (LoS) and below 400 feet AGL (above ground level). Within five miles of an airport contact FAA Air Traffic Control and/or the airport manager's office before flying. I live 3 miles from KCOE and received permission to fly (Blade Chroma 4K) to inspect the roofs in my condo complex for the COA board. It saves wear and tear on the roofing while looking for plugged gutters, downspouts, cupping shingles, and other problems. These are also electrical devices so when power goes out so does your control, GPS-linked or not. Good rule of thumb: Do not risk more than you're willing to spend.